January 22, 2007 Fun, Gadgets Comments Off on Lose weight by Wii-ing! A Philadelphian in US has unloaded 9 pounds by 30 mins of Wii Sport in six week. Hum…another great reason (excuse?) to by a Wii……..
New toy on my desk…. December 4, 2006 Fun, Gadgets Comments Off on New toy on my desk…. Came across a great “The Making Of” by BusinessWeek Online. MakeBlog – The making of a LEGO brick. I think is nothing new for news about some opportunist/company acting as a so call “legal bully”, where they think suing some one/some other companies makes more and easiler money than doing business…. 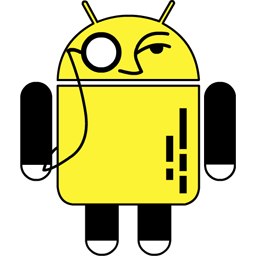 But I really love the picture Engadget select for the story, extactly what I felt, extactly what I think!!! Gave me a big laugh for at least 60 seconds!!! Great pic there Engadget!!! thanks!!! credits for the poster Cyrus Farivar!!!!! New Zealand households are spending more on sugary snacks than on fresh fruit, a new report says. It seems to be same problem with most developed countries, junk food are everywhere…. Miss all those Gala Apples, Kiwi Fruits and big red fresh juicy Strawberries…..
Hum…..yeah…….we got an error…. oh yes, it never existed. Why did I took the blue pill? Google Maps and big Bug! October 6, 2006 Fun Comments Off on Google Maps and big Bug! A 53 Metres long gaint bug has been spoted on Google Map. Or search “48.857734,10.204968” on your Google Earth…..
Wasn’t that so politically correct right? July 3, 2006 Fun Comments Off on Wasn’t that so politically correct right? 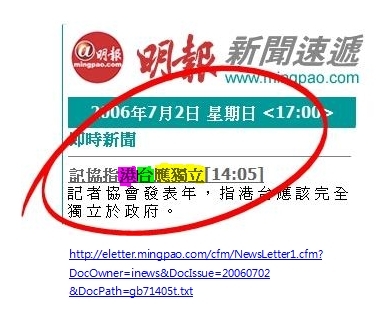 Screen capture from Ming Pao Instant news. AeroGrow – Grow your own Fresh Salad! March 29, 2006 Fun Comments Off on AeroGrow – Grow your own Fresh Salad! Saw this over The Make:Blog. “The AeorGarden was quick to assemble, easy to plant, and looks great anywhere in the house.” from Rainy Day Garden. Head to RainyDayGarden to see the AeroGarden Updates!